Whenever anyone would suggest that my phone was rotting my brain, I would roll my eyes defensively, already a preparing a list of the benefits of my smartphone. It keeps me connected to friends I haven’t seen in years! It keeps me up-to-date on what’s happening in the world! What would I do if I got lost and didn’t have my Google Maps app? Well, it turns out, my phone also keeps me distracted. Feeling self-righteous about my relationship with my phone, I decided to conduct an unscientific study on my personal phone use. For one week, I kept a pen and paper with me at all times and documented every time I used my phone and what I was doing. While I’m sure there were some moments I missed, I documented at least 12 hours spent on my phone. Most of the time, I was mindlessly scrolling through social media. I frequently complain about how I don’t have enough hours in the day to get everything done. One of my goals has always been to write a book, but it seemed like I had never had time. Now I know where a lot of my time was going… to my phone. I decided to give up social media for a week after one of my professors recommended the challenge to our class. The results were eye-opening. Not only was I constantly reaching for my phone without even realizing it, but I was getting irritable when I realized I wasn’t allowed to go on social media. I even missed one of my good friend’s birthdays! I realized that while my smartphone distracts me while I’m using it, it’s also still on my mind when I’m not. How many people liked my Instagram post? Did the person I texted respond yet? Every distraction took my focus away from what I was working on, and getting back into the groove took at least 10 minutes. Whether I was doing homework, a project for work, or writing, it’s hard to dive deep into what I’m doing when my phone is always on my mind. Now that it’s the New Year and I’ve got a fresh llist of goals I want to achieve—including finishing that novel, I decided it’s time that I establish a healthier relationship with my phone. So, I created a plan to “train” my brain to get out of the habit of constantly needing to check it. When I sat down to write, I left my phone it in another room. At first, it was painful. My body craved my phone, but I resisted those urges. After about 30 minutes, I dove deep into my writing and was able to create something much more thoughtful than I would have otherwise with distractions. Another step I took to foster a healthy relationship with my phone was to delete social media apps and only check Facebook and Twitter on my computer. That limited the amount of time I spent on social media, because I wasn’t going to drag my laptop with me everywhere! Sometimes my best efforts aren’t enough to curb my smartphone cravings, but luckily there are multiple apps out there to help. Some will allow you to track how you’re using your phone, such as Moment and BreakFree, while others, like Flipd, will allow you to set up restrictions for your usage. Whenever I feel like my own willpower isn’t enough, it’s nice to have these as a back up. Every since I started taking these steps, I’ve been amazed at how fast I can get things done. 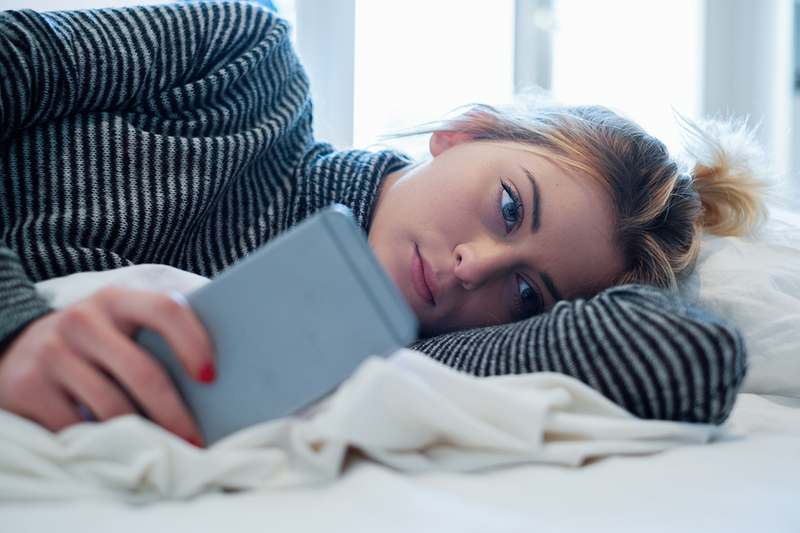 Realizing my relationship with my smartphone wasn’t the healthiest was only the first step on a journey to living a healthier and more productive life. I’ve found I’m more efficient at my job and school when they can have my complete attention. Not only has it helped my career, but also it’s helped me to enjoy time spent with friends and family much more by living in the moment instead of living through a screen. 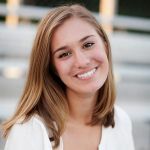 Emily Fillion is Connecticut native and a recent graduate of Fordham University with a degree in Communications. In her spare time, she enjoys spending time with her cats, reading, and playing the piano.